This is my faery rag doll. She is just beautiful with her fluttery wings, big ears and wide eyes. I just love her. 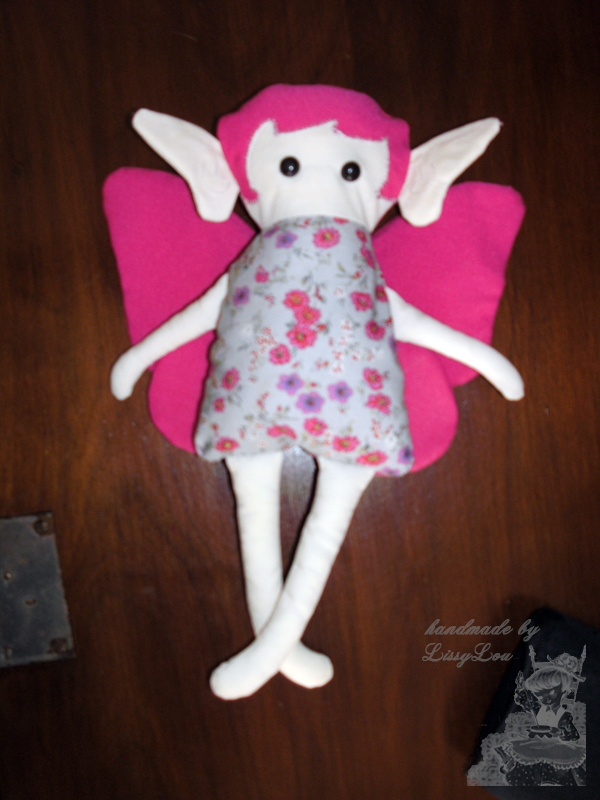 I made this particular doll for a special little girl and because I loved how this faery doll turned out I made more. So far this is my favourite doll I have made, that's why I've named this post as #1 as I plan to post many more of these faery dolls. Totally hand-sewn, including the wings and ear details, this beautiful faery can be tricky at times to put together but as always the end result is well worth the effort.